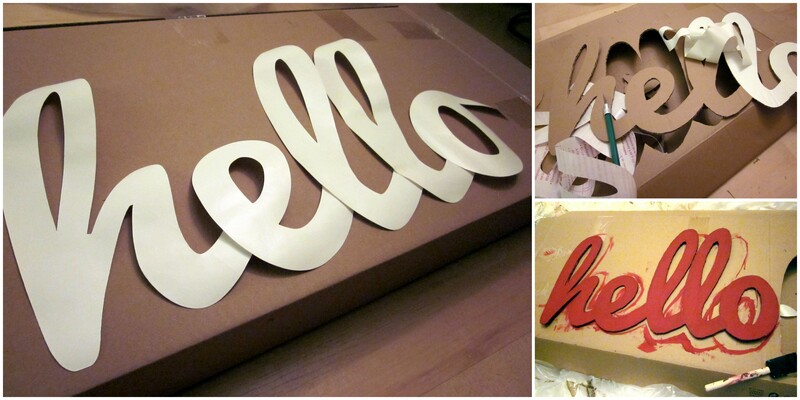 Using my Cricut, I cut out the letters for “hello” in Pacifico font from contact paper. I stuck the letters to a leftover IKEA box and cut them out using a craft knife. I had leftover red paint from turning a clock blue to red but the red came out quite a bit darker than I liked. I coated the 1×4 wood (Home Depot cut them into 3′ and 2′ pieces for me) with a polyurethane finish to match my dark furniture. (I do not recommend doing this indoors, I killed quite a few brain cells.) I pre-drilled holes into the wood (no measurements since I was going for a rustic look). Then I used the 2′ pieces as the backing and screwed in the 3′ pieces onto them as the slats. My screwing kinda sucked so the boards are a bit crooked. 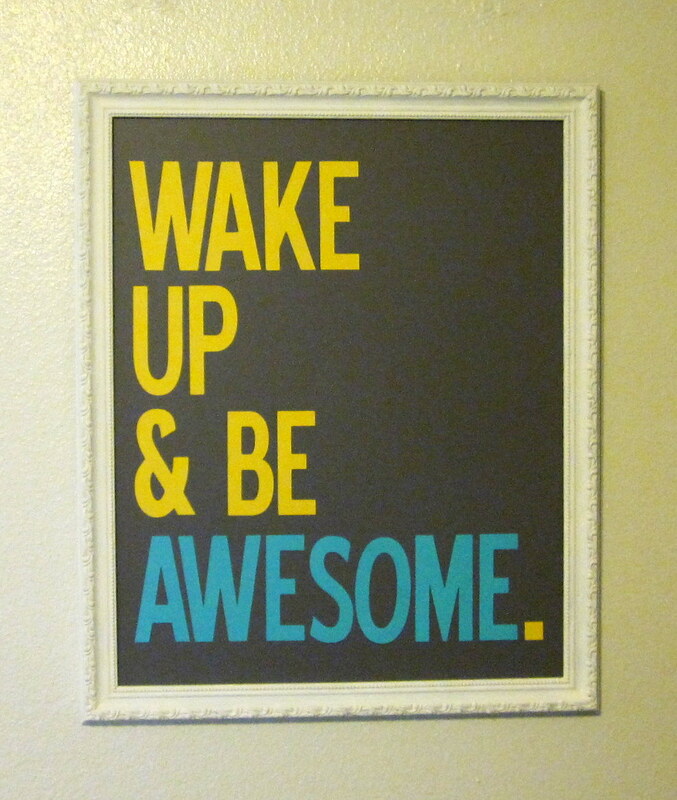 Using my Cricut, I cut out the letters for the saying, “Wake Up and Be Awesome” in Blue Highway Condensed font from cardstock. I found a frame at Salvation Army for $2.50 (they constantly have 50% off sales!) and painted it a few coats of white. I broke the glass during crafting but I prefer it without the glass. I also bought a piece of grey foam backing and cut it to fit the 15×20 frame. I arranged the letters and then stuck them down using scrapbook tape. The letters were falling off after a few days so I switched to glue. Although I love the original version more, this is a great $10 alternative compared to the $200 Etsy price tag. 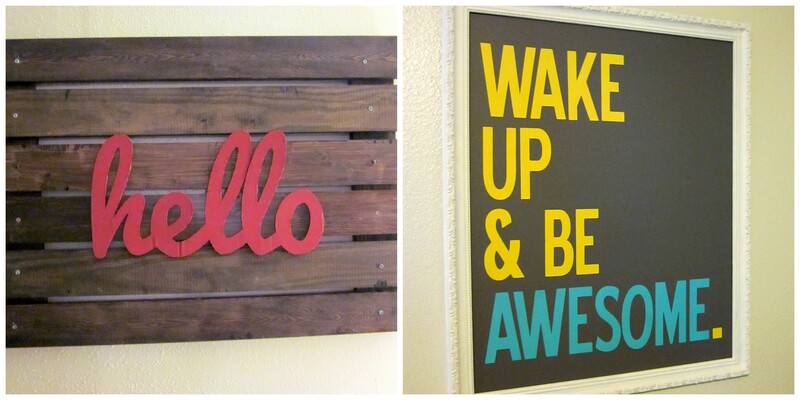 The sign helps me get outta bed each morning. 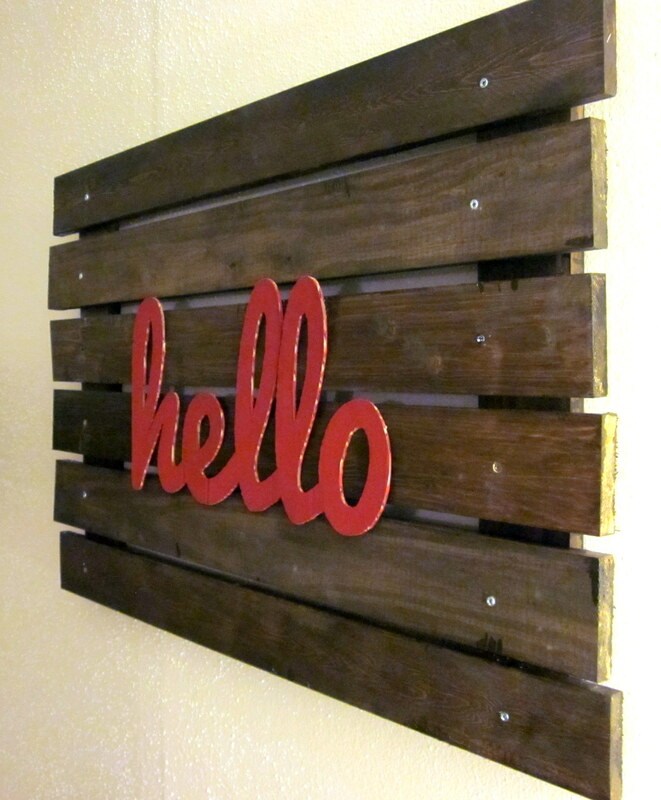 This entry was posted in Crafts, Decorations and tagged art, Cricut, Hello, pallet, sign. Bookmark the permalink. Totally! Whatever you want for your upcoming bday!